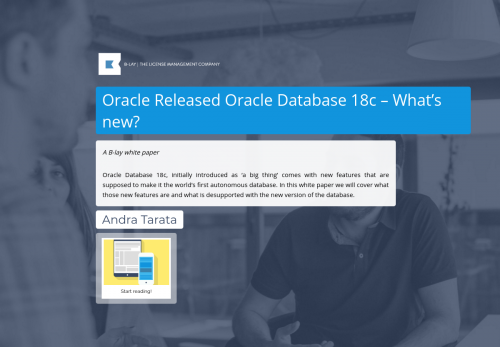 Oracle Released Oracle Database 18c – What’s new? Oracle Database 18c, initially introduced as ‘a big thing’ comes with new features that are supposed to make it the world’s first autonomous database. In this white paper we will cover what those new features are and what is desupported with the new version of the database.